Arrrrgh...there be monsters on the horizon... or maybe a reskinned skeleton. 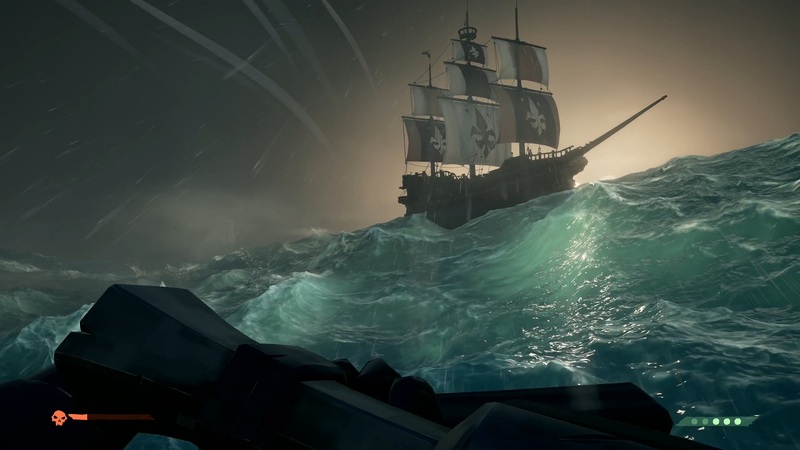 If there’s one thing everyone can agree on it is that Sea of Thieves can be an incredibly fun game but currently lacks content. This is not news to Rare, the developers behind the game, who gave us a glimpse of their plans for the game during 2018. The main takeaway is that fans will get their hands on six “major” content updates starting in May with some weekly events in between each new content update. Only the first three updates have been detailed, with the second two both due during the Summer. Meanwhile, the final three content updates are listed for a “Fall/Winter” release. Check out the graphical roadmap below. The first update, due out in May, is called The Hungering Deep and “will introduce a new AI threat to the world”. From the sound of things, you may have to stow the cannons and wave your undies on a stick to let fellow pirates know you intend them no harm. 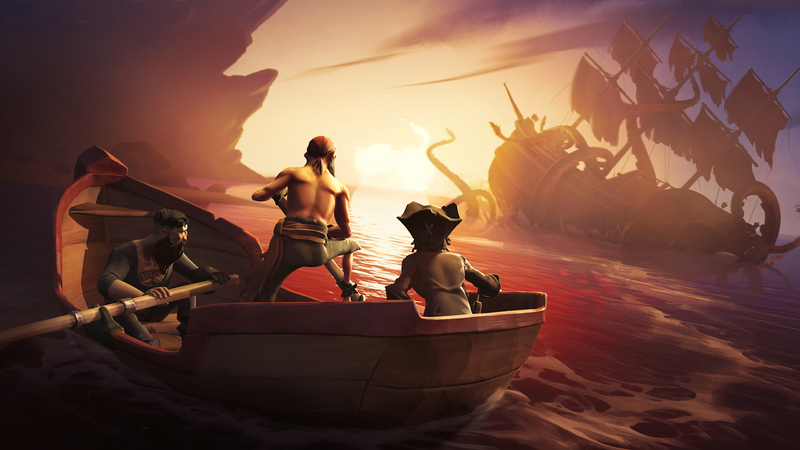 Rare has declared that you will “have to work together to discover and defeat this threat as part of a unique event.” Rare has also promised new game mechanics and unique rewards as part of the update. May will also see the introduction of the weekly events which will introduce more new mechanics. These mechanics will then become an ongoing staple in the game going forward. 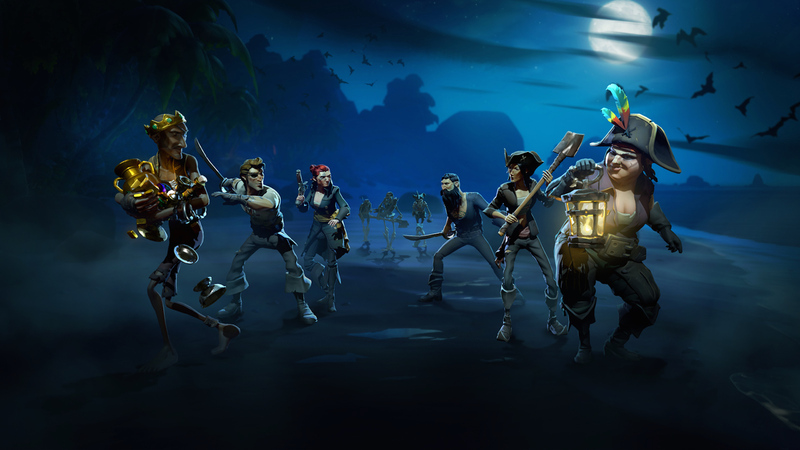 One of the ways Rare has proposed to enhance the game through events is to emphasize exploration. This could in the form of hidden treasure events that send players on journeys to explore areas both above ground and underwater. 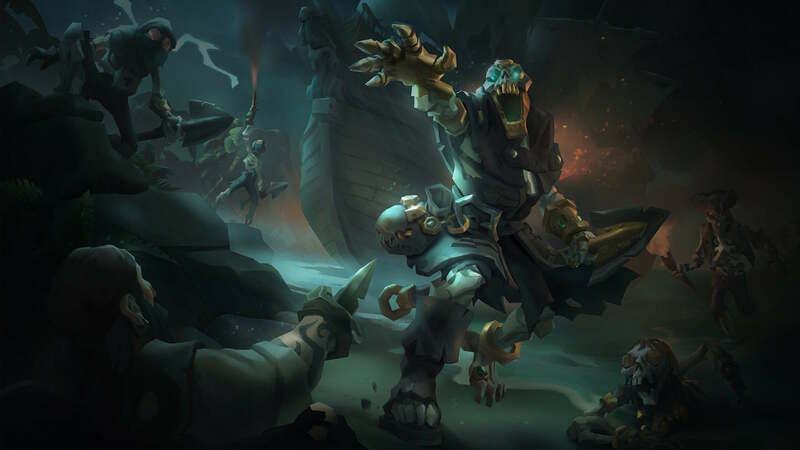 Some other examples provided by Rare include ‘cursed cannonballs’ and ‘Skeleton Thrones,’ which would be scattered throughout the world and sound like miniature versions of the Skull Island raids. These events will also contain event exclusive rewards and items that will help you progress in your quest to become a legendary pirate. There will be two more major content updates due out during the Summer months, starting with the Cursed Sails. The name Cursed Sails being a hint at the type of content that will be included in the update. Sounds an awful lot like AI ships with skeleton crews or ghost ships similar to the Ferry of the Damned. Cursed Sails will also see the addition of a new ship type in addition to the new AI threats and gameplay mechanics. 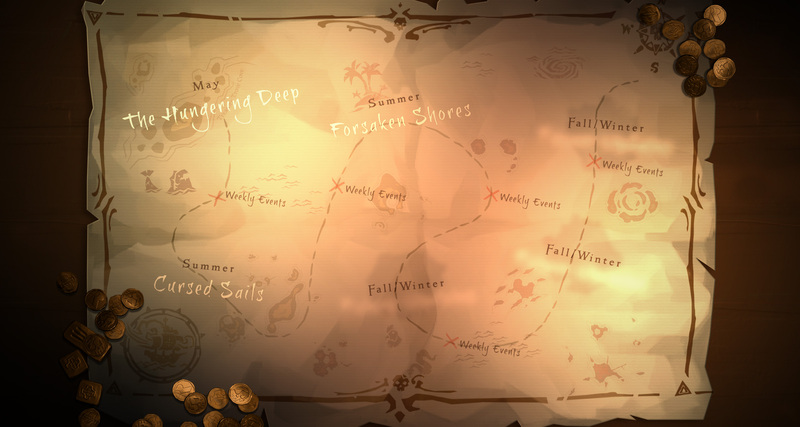 The final Summer update is the Forsaken Shores, which again hints at the possibilities with only ‘a perilous new part of the world to explore’ offered as details of what the update may contain. As with the other updates, AI threats and new gameplay mechanics will also be added. Unfortunately, this has meant Rare has decided to put off a few of their previously announced updates. Both the Pets update and Ship Captaincy updates have been put ‘on the back burner for now’ while they focus on addressing community feedback.